While the treatment of patients with vascular disease is old hat for Vanderbilt University Medical Center, the recent launch of the Section of Vascular Medicine within the Division of Cardiovascular Medicine has opened the door for expanded vascular services and specialized expertise in complex vascular diseases. VUMC recently opened the Vanderbilt Marfan Syndrome and Aortic Disorders Center, a comprehensive clinic that is located within the Vanderbilt Heart and Vascular Institute. 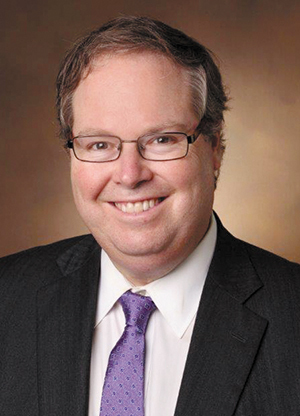 "Vascular medicine been around five decades, but only in the last two has it begun to take off and develop itself as a true subspecialty niche," said Joshua Beckman, MD, MSc, director of Vanderbilt's Section of Vascular Medicine and medical director of the new Aortic Center. Beckman, a translational researcher with expertise in the interplay of diabetes and vascular disease, left Harvard Medical School in 2015 to begin and grow Vanderbilt's interdisciplinary vascular medicine program. "There wasn't anyone in Middle Tennessee who was providing this kind of care, and I wanted to provide an organized framework so patients could be cared for in a consistent way," he said. The expansive nature of the vascular system means these specialists coordinate care with rheumatologists, diabetologists, surgeons, cardiologists and primary care providers, allowing Beckman and his colleagues to provide big picture care and risk factor modification for patients. "I want to make it easier to create well known care pathways so we can reduce the variation among providers and create points of higher patient acuity and complexity in which it may be reasonable to solicit input and advice," Beckman said of the new center. "If you leave everyone on their own and just ask for help when you want it, you'll get a variety of practices which may or may not be evidence based. We are establishing very clear expectations and can provide an impressive range of expertise for patients." That effort includes redefining national standards for patients with pulmonary embolism. "Traditionally the care has been dis-coordinated for these patients, who have the third highest rates of cardiovascular death after presenting to a hospital," Beckman said. "Vanderbilt wants to change how they're cared for." To that end, VUMC is now an active part of the National Consortium of Pulmonary Embolism Response Teams, striving to provide more consistent treatment of PE patients. "This is another overlap disease with a lot of hands in the pie, but we're moving toward a more coordinated effort," Beckman said. The Heart and Vascular Institute also is starting an arteriopathy clinic and has recruited Esther Kim, MD, a national expert in fibromuscular dysplasia and spontaneous coronary artery dissection. "We offer all aortic endovascular and open surgical procedures, and the entire aortic group gets together monthly to discuss difficult cases," Beckman said. "We're rapidly becoming the place in the Mid-South to care for patients with vascular diseases."